It was a zip file. I have added it to this comment. I'm not sure it will load though. If not, send me a private message with your email and I will send it that way. Try clearing the cache from the Launcher. That resolved a lot of my lock ups while loading into a battle. In your main WorldofWarplanes directory you should have a file called wgc_api.exe. 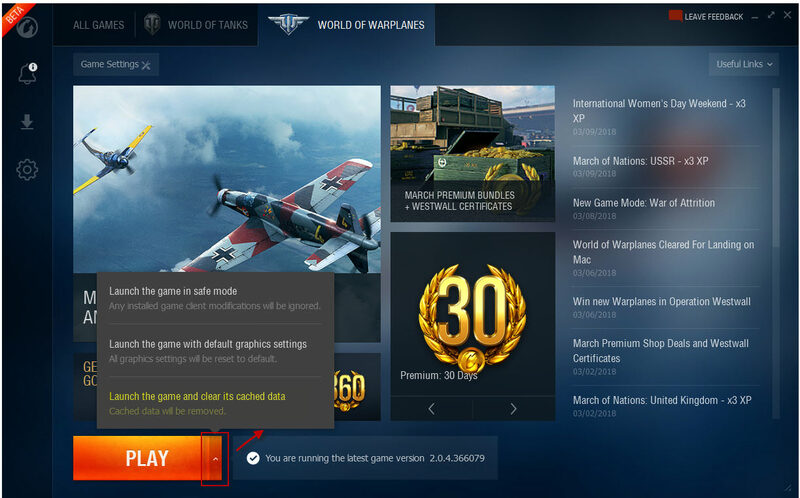 That will open a launcher program that lets you launch any installed WG game. If you click the arrow next to the play button you will get the option to launch the game and clear the cache. That has resolved my hanger issues and occasional hanging when launching into a battle. Handy for Tanks and Ships too. Also note the "safe mode" option for when you're trying to pin down if an issue is mod-related.